 Durable construction! Heavy duty rubber scrappers clean shoe soles, not flimsy cloths or sponges.  No plastic parts like cheaper imitations!  Recommended by Reslilte Sports Products. 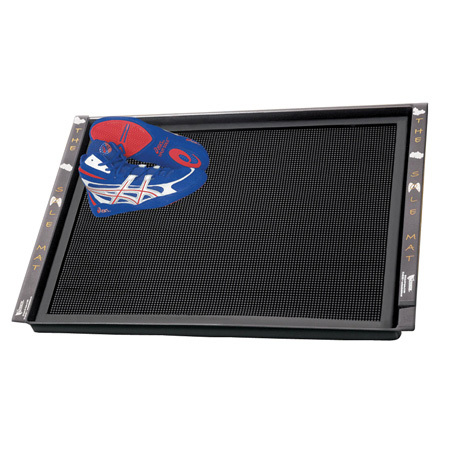  Size: 36"×27"; Sits in a steel tray and comes with a 24"×36" drying mat.